In case you have been living under a rock for the past Seventeen years, the New York Knickerbockers did not make the Playoffs once again this season. Why? you ask, well you can read all about it here and also here. That’s enough for a franchise that messes everything up, now lets talk about teams that are actually doing some smart things in the past few years. The NBA Playoffs are a great time for many sports fans because it is non-stop basketball that both teams take seriously unlike the regular season. As someone for whom the NBA as a whole might be his fourth favorite North American sport, I am not a big fan of the NBA playoffs. The concept of more than half of the league making the postseason makes me even more depressed that my team never makes it. Also, since more than half of the league makes it to the postseason, they are way too long and only a handful of teams actually have a chance of winning the whole thing. NBA Playoffs are the most depressing time for a Knicks fan, but for everyone else they are a fun time. In this blog, I will talk about each first round playoff matchup and how much I care about them, The mathups are sorted into three categories: TV Only, TV and other devices, and Wait that was today? TV and other devices- I will have these matchups on the TV, but will be doing other work on other devices simultaneously. One of the teams in this category might win the whole thing, but it is not must watch. These matchups are good enough to be going in the background while you are distracted. Wait that was today? These are the matchups that I do not care one iota about. There are a couple of teams that might win in the end, but their first round matchup does not move the needle for me. Now that the categories are explained, I will go through all 8 matchups and put them into one of the three categories. I have changed my opinion on this series, after the unfortunate death of Celtics’ player Isaiah Thomas’ sister. The series has become interesting with one of the quirkiest thing out there right now, the TNT Bulls. Bulls do not lose when they are playing on TNT. For me, this series is a TV and other devices matchup, there are some intriguing storylines that can become big throughout the playoffs. Both teams have players that are fun to watch but I could not care about who wins this matchup. The winner will probably lose in the next round and has no chance of winning the NBA championship. This series goes under Wait that was today?, I could not tell when and where this series is being played. The Cavs are the odds on favorite to make the Finals out of the East, with the recent struggles of the Celtics that is becoming even more obvious. The Pacers have kept the first few games close in this series, but they have no realistic chance of winning this series. This is another series that goes under Wait that was today? for me. I do not care about how the Cavs are doing until at least the Second round, wake me up then. Though this series is Toronto’s to lose, it is still very interesting. Both teams that have players that have the potential to be future superstars in this league. The Raptors should win this series, but it is not going to easy for them. This series is a TV only for me, not really for the result, but more just to see the star players on display. If Golden State does not win this series in 4 or 5 games, I would be shocked. As I said on Monday, my expectations for the Warriors are very high, so the first round does not really matter for them. This would be an easy selection if they were not playing the Blazers. Portland has players that are possible needle movers and can make this series intriguing. I will put this in the TV and other devices category. Though there is a good chance that this series will be a walkover for the Warriors, some of the players on the Blazers can make things interesting. The Clippers make the postseason almost every year but fail to deliver in them. I am writing this blog with this matchup on the TV, that is simply because I am too lazy to find the remote and change the channel. I could not identify one Utah Jazz player even if I saw him walking right by me. The winner of this series will lose in the next round and there are no players that are must watch. This is without a doubt, Wait that was today? for me. As I said this matchup is on my TV and I decided to write this suppper lonnnggg blog instead of watching it. The Spurs are going to win this series in 4 games. Neither team has a superstar and neither team plays flashy basketball. Wait that was today? for this matchup, I would much rather do homework then watch this series. NBA executives are thanking their gods for making this matchup possible. The two best players this season are going head to head to see who will come out on top. Though the Rockets might be slightly favored, this series will go to seven games. The two teams are not evenly matched but Russell Westbrook can be the great equalizer. This series is a no doubter TV only. This might be the best series this whole playoffs, all the games in this series are must watch TV. 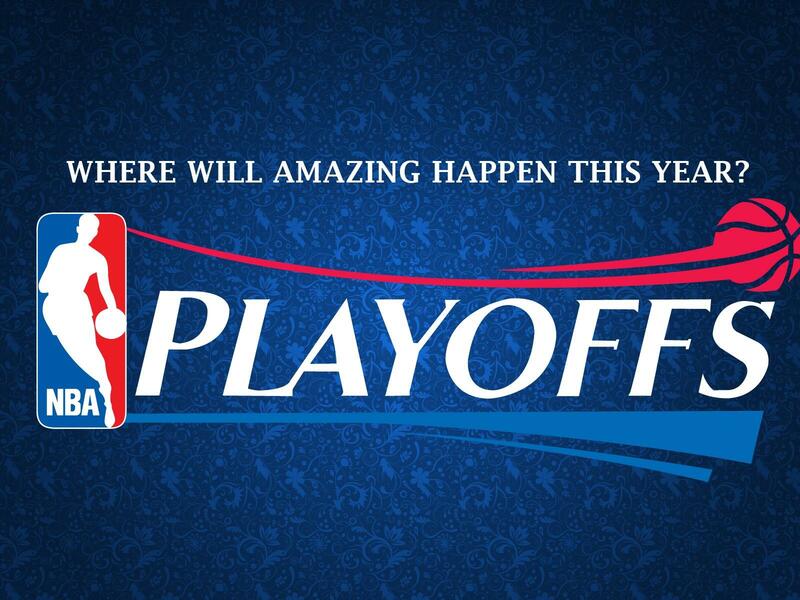 Those were the first round matchups for the NBA playoffs and how much I will watch each of them. I will continue to do this same type of blogs for the remainder of the NBA playoffs and other things on the sports calendar. Until then be sure to follow along on Social Media for some instant reaction on the playoffs that might not make it to the blog.